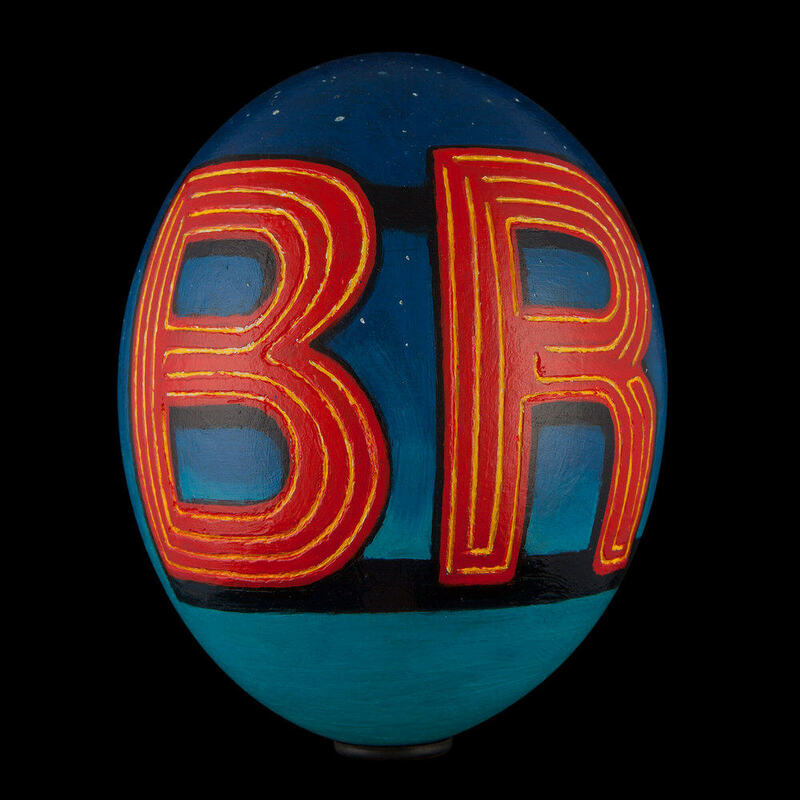 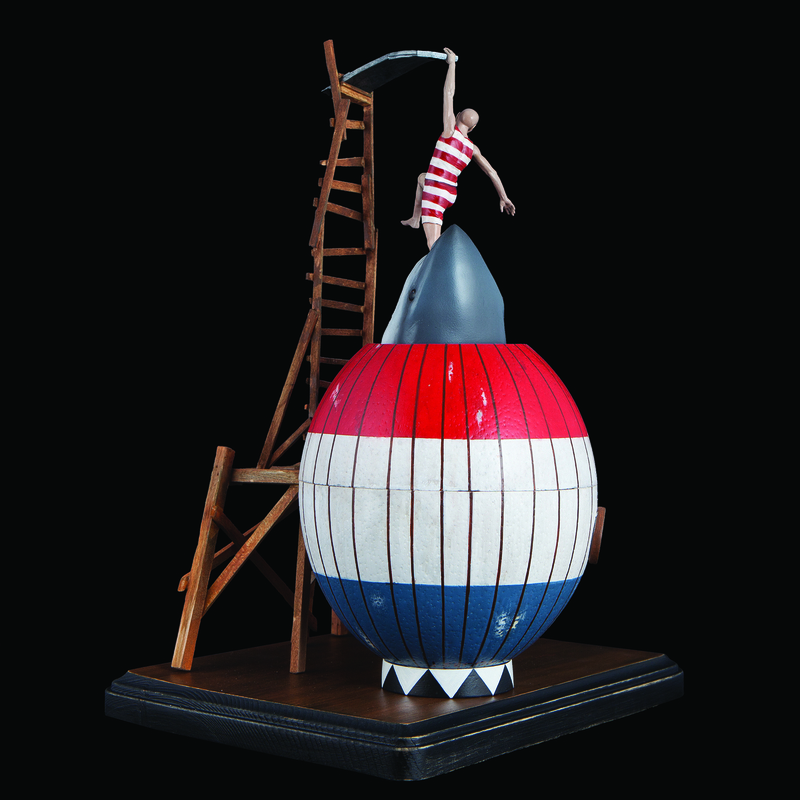 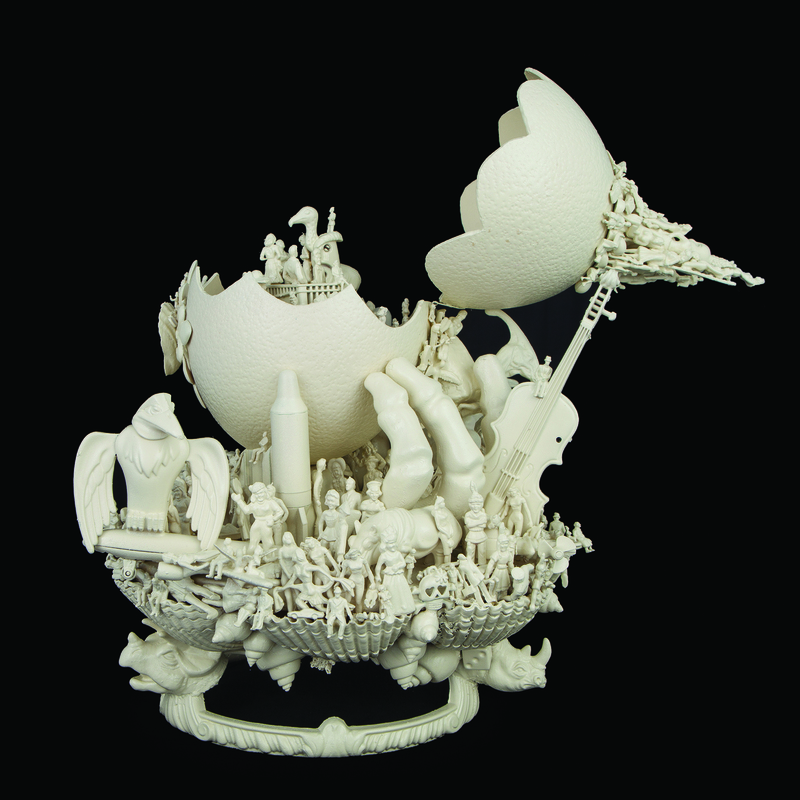 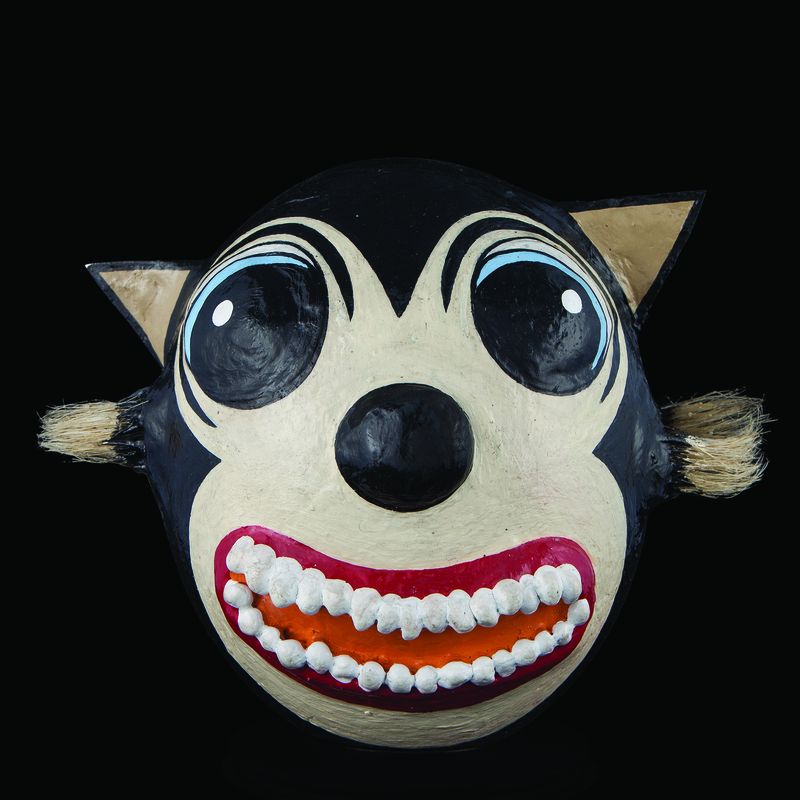 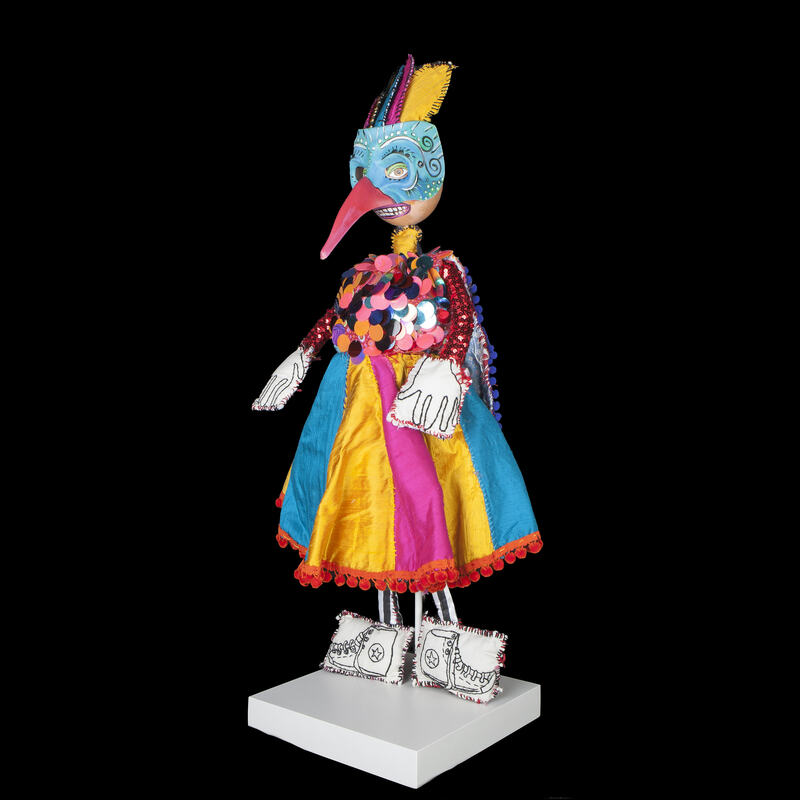 This exhibition, organized by Charles Bluestone, features a survey of some of the best contemporary artists in Ohio. 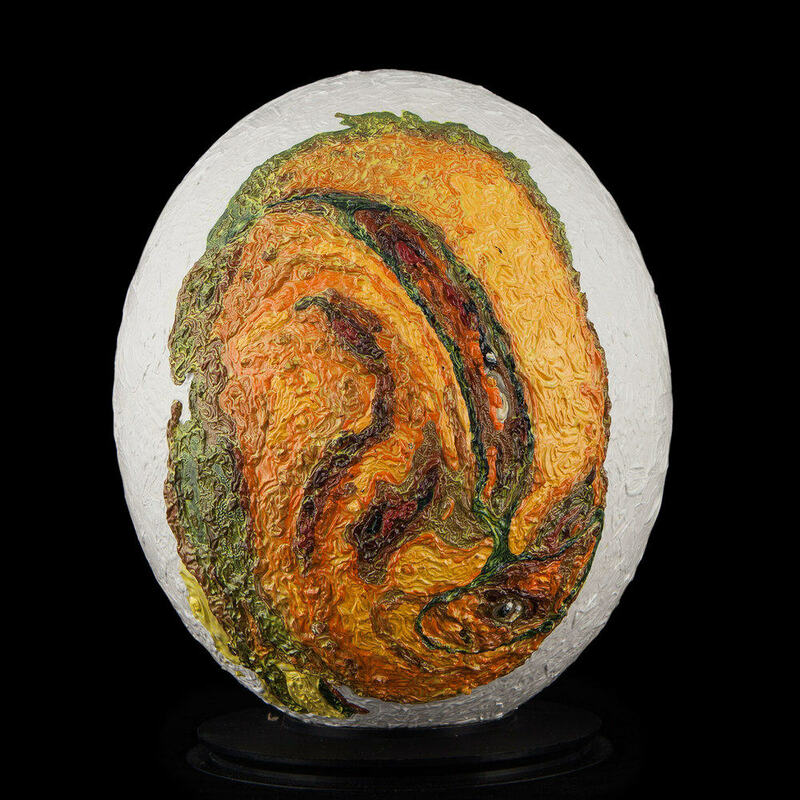 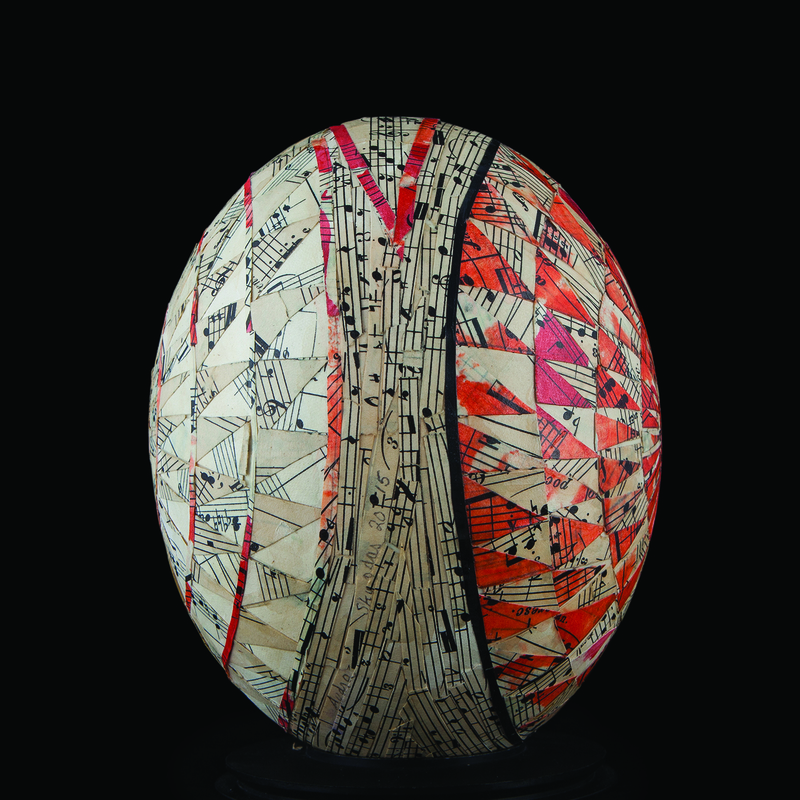 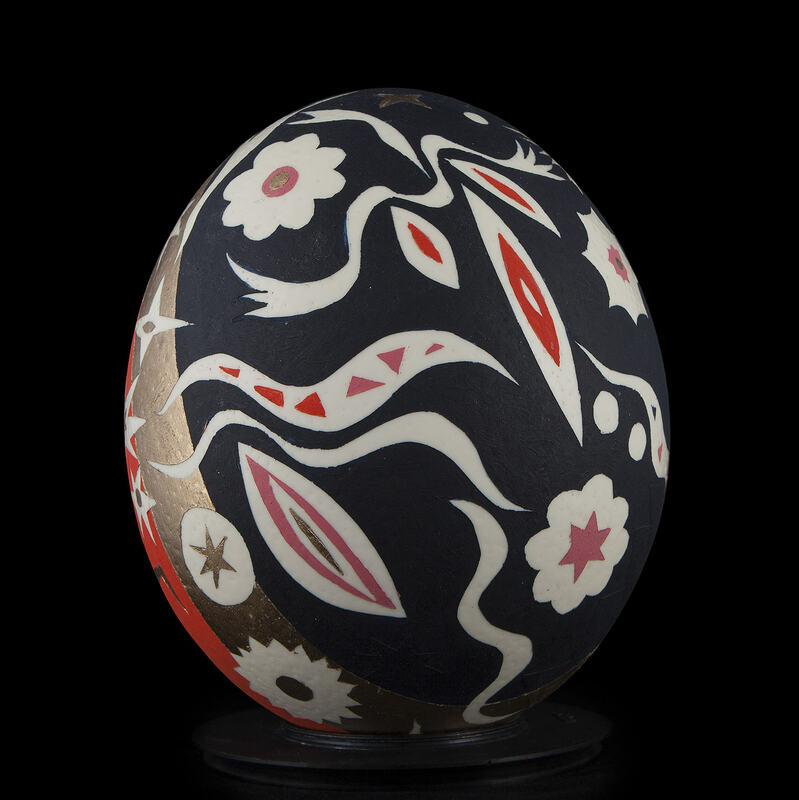 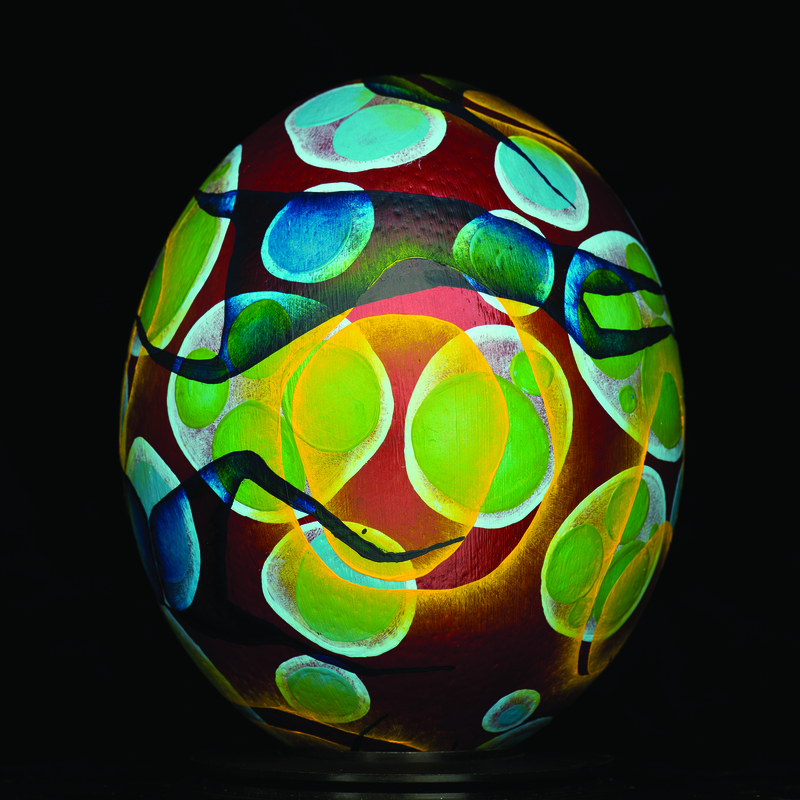 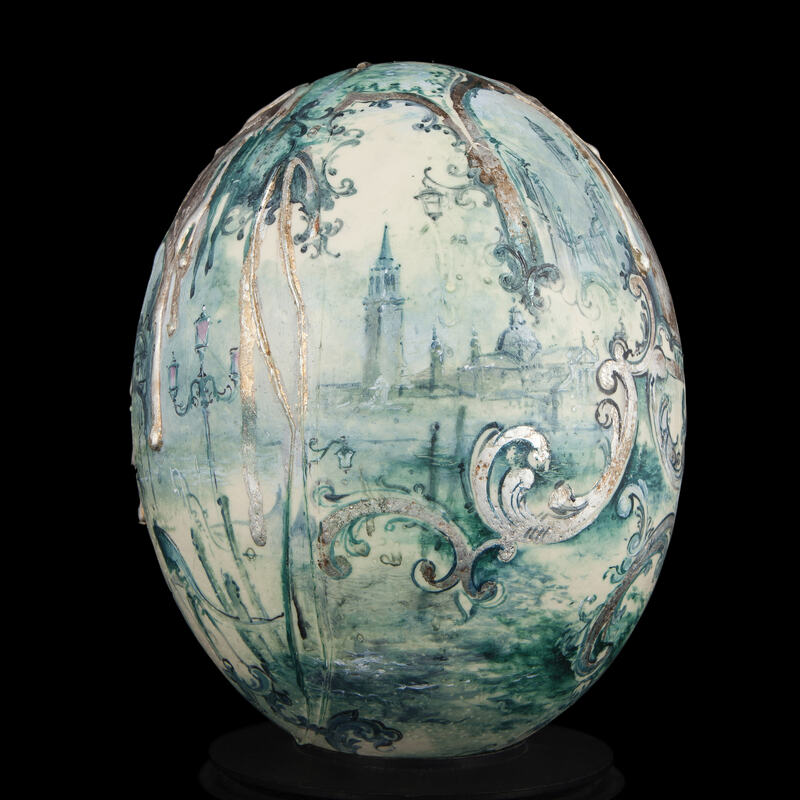 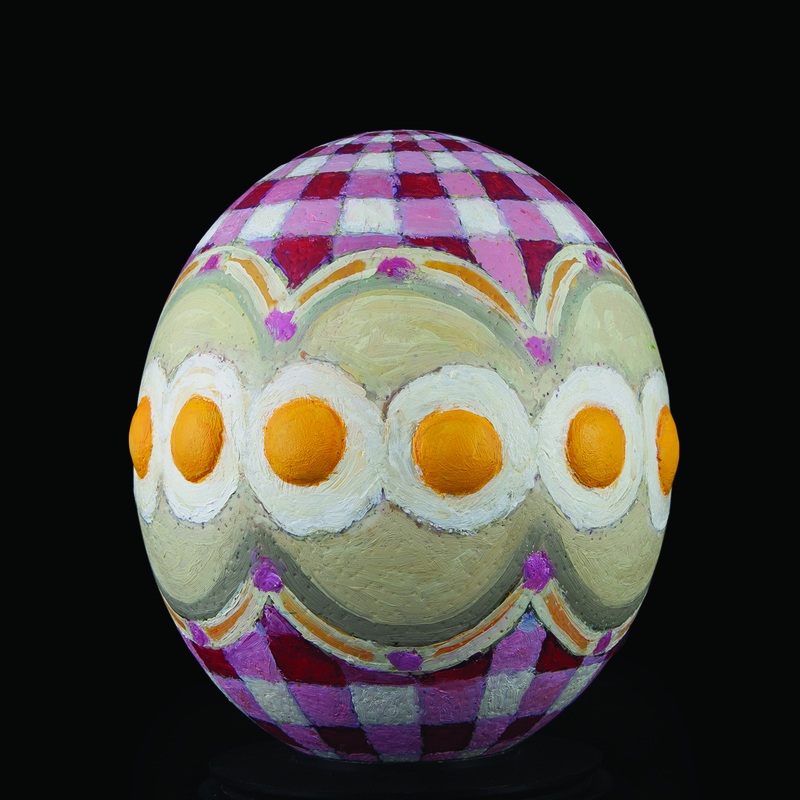 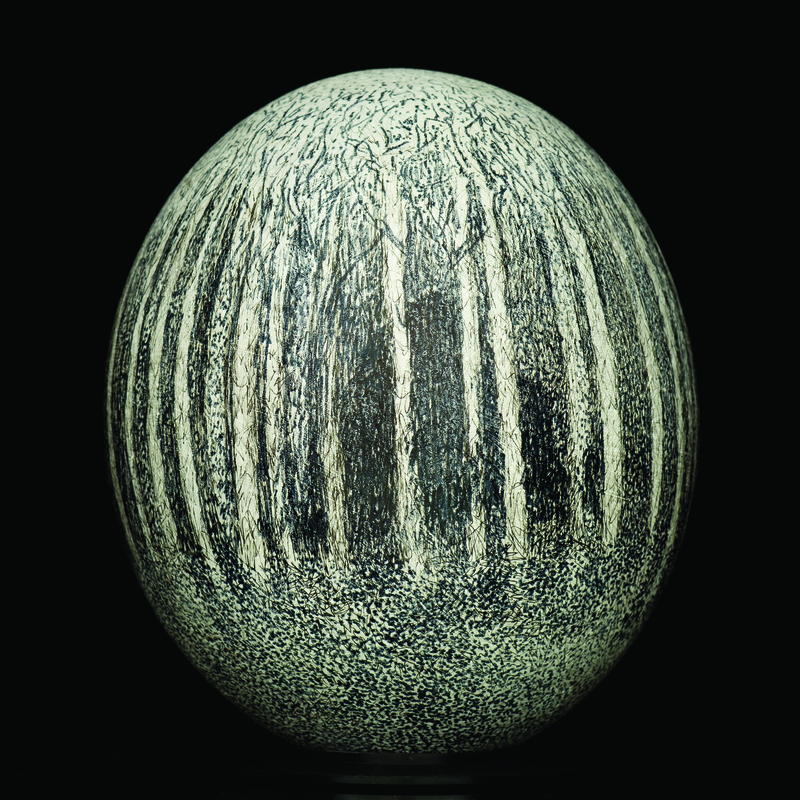 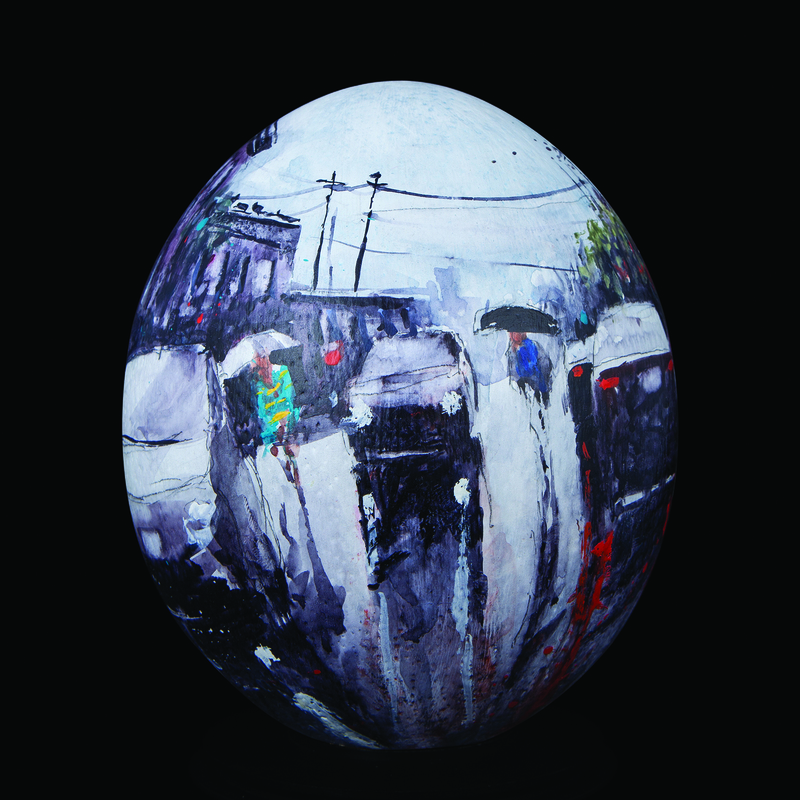 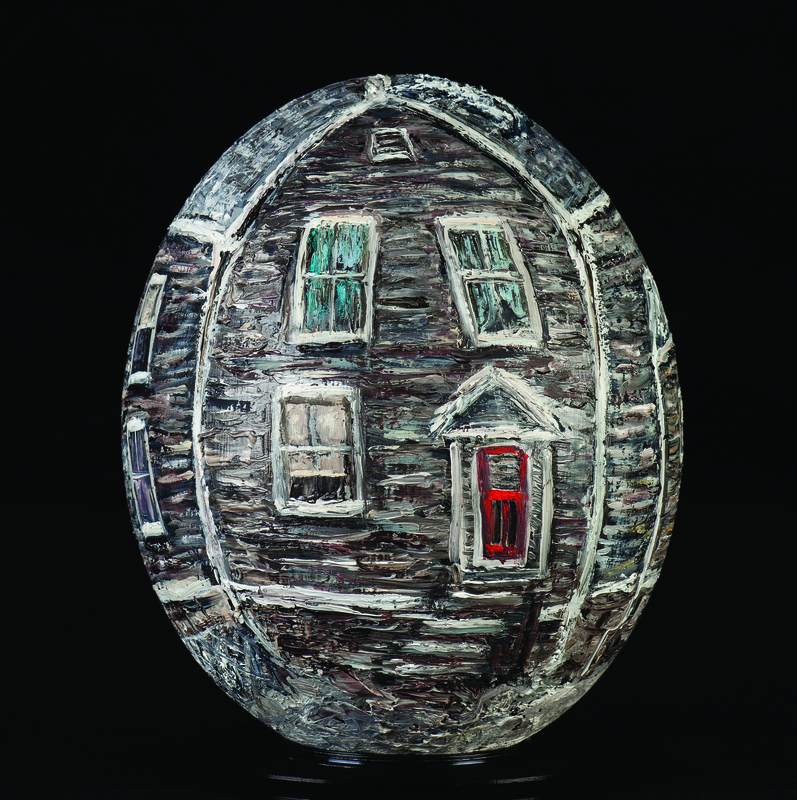 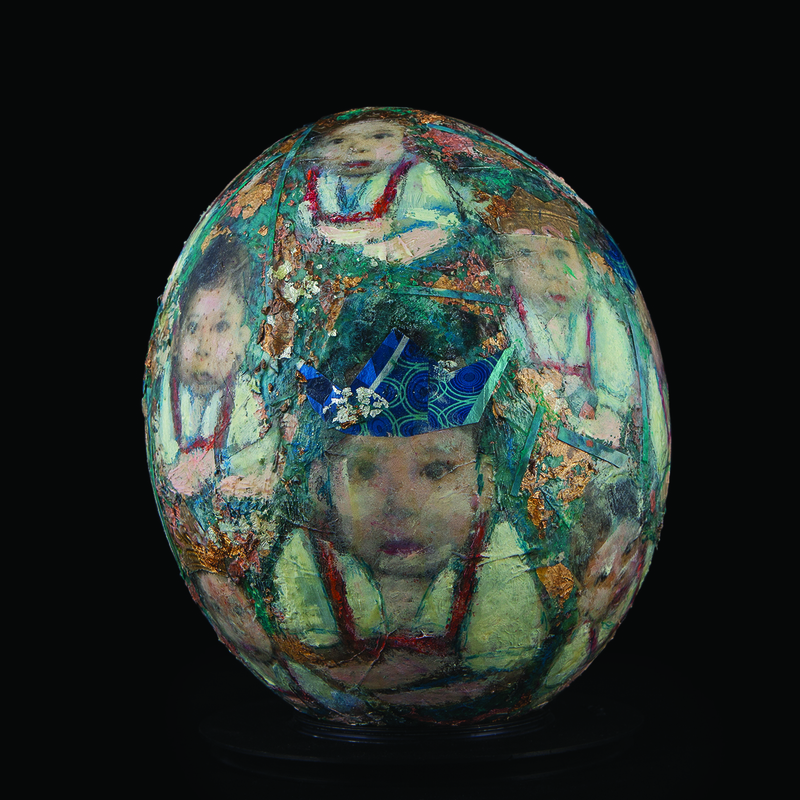 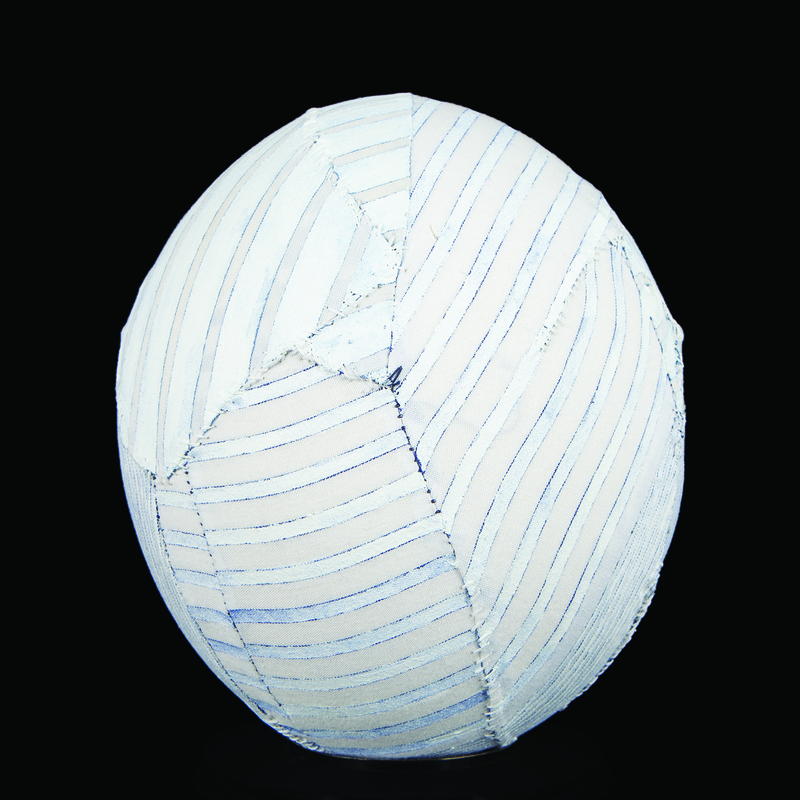 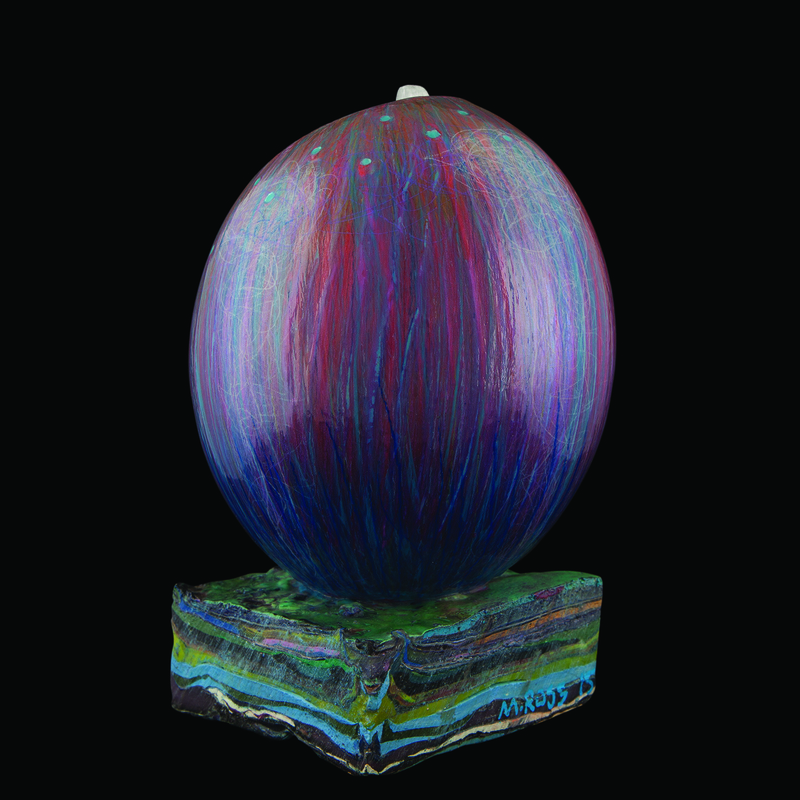 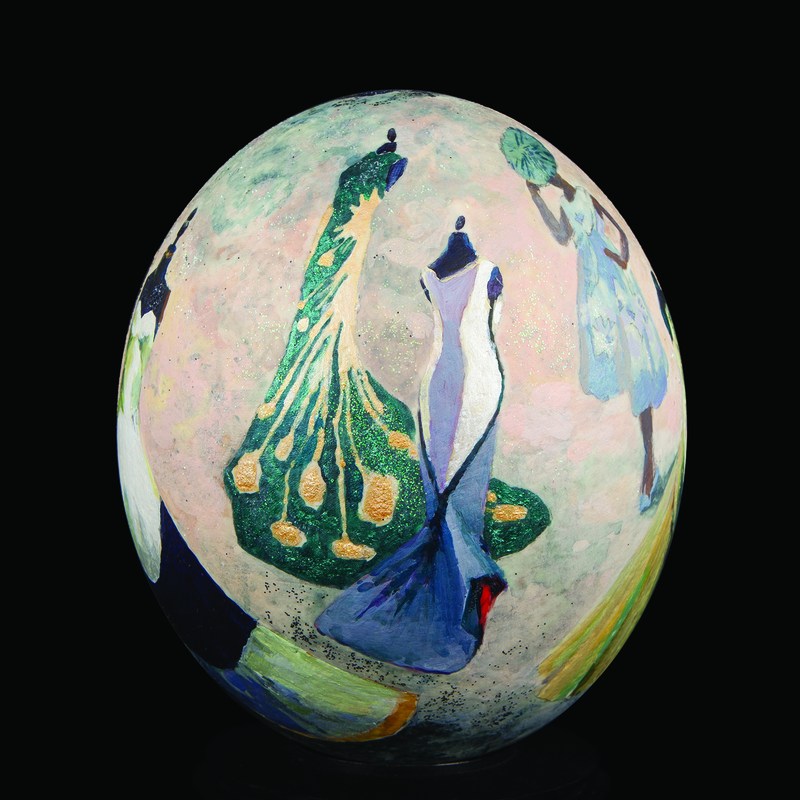 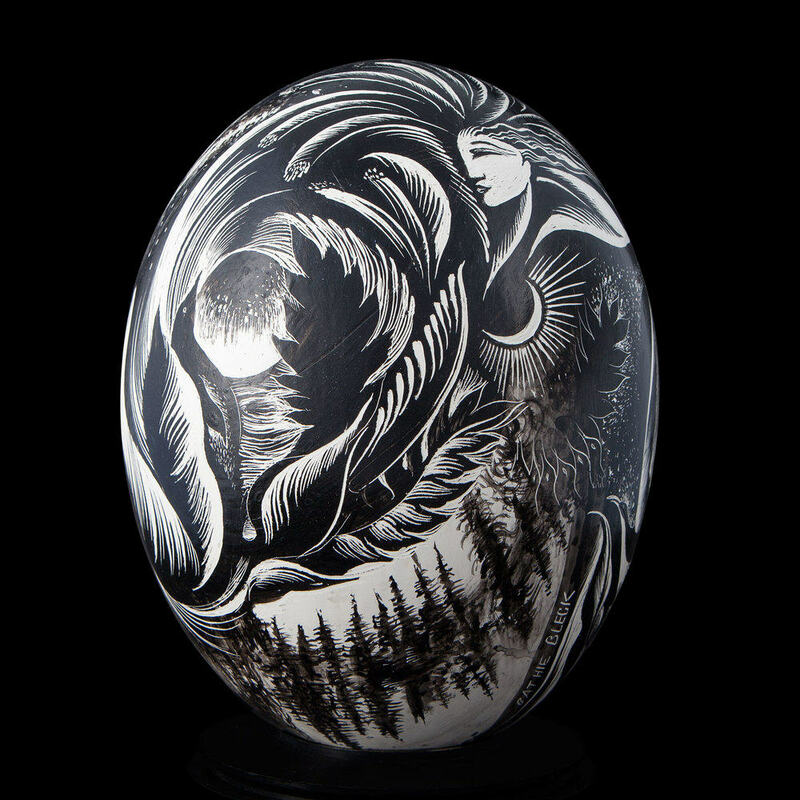 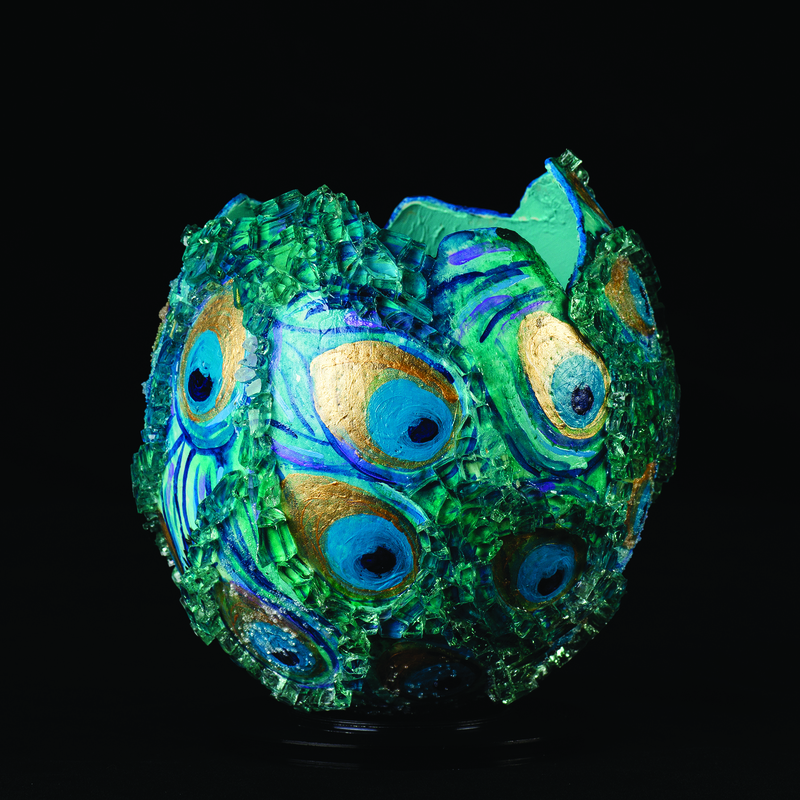 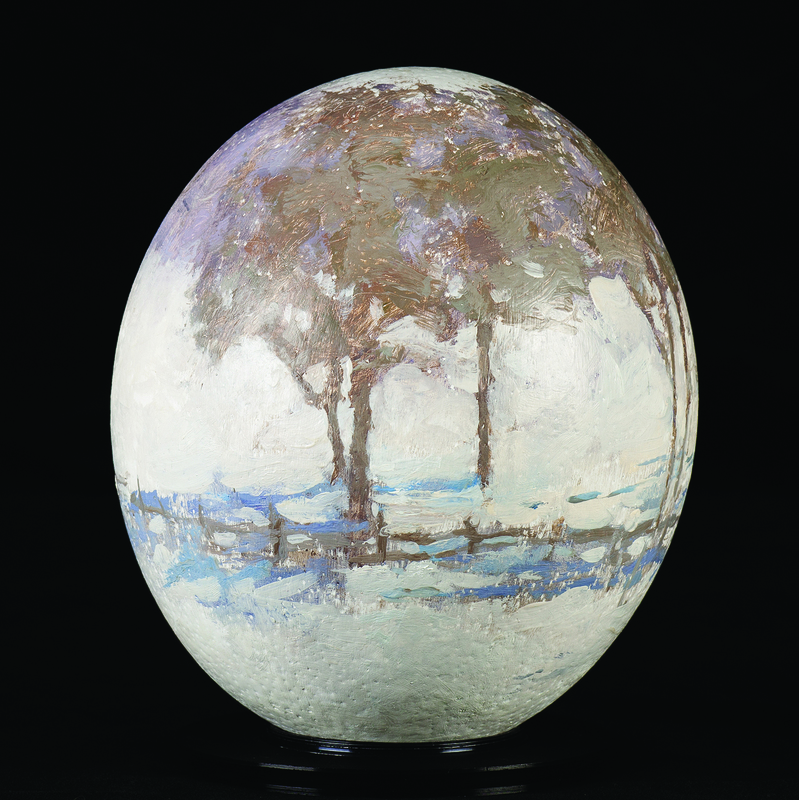 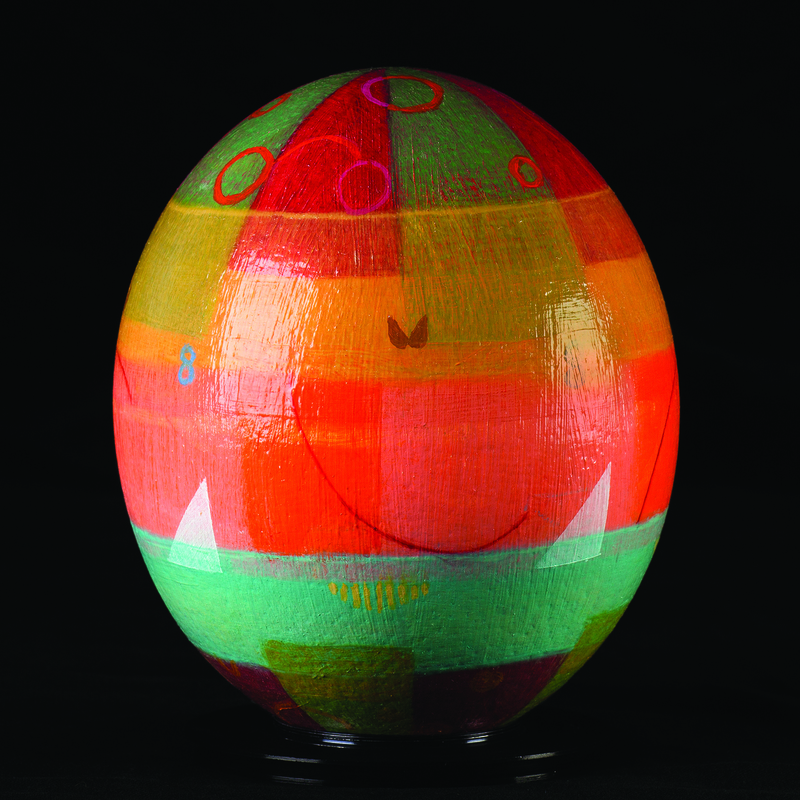 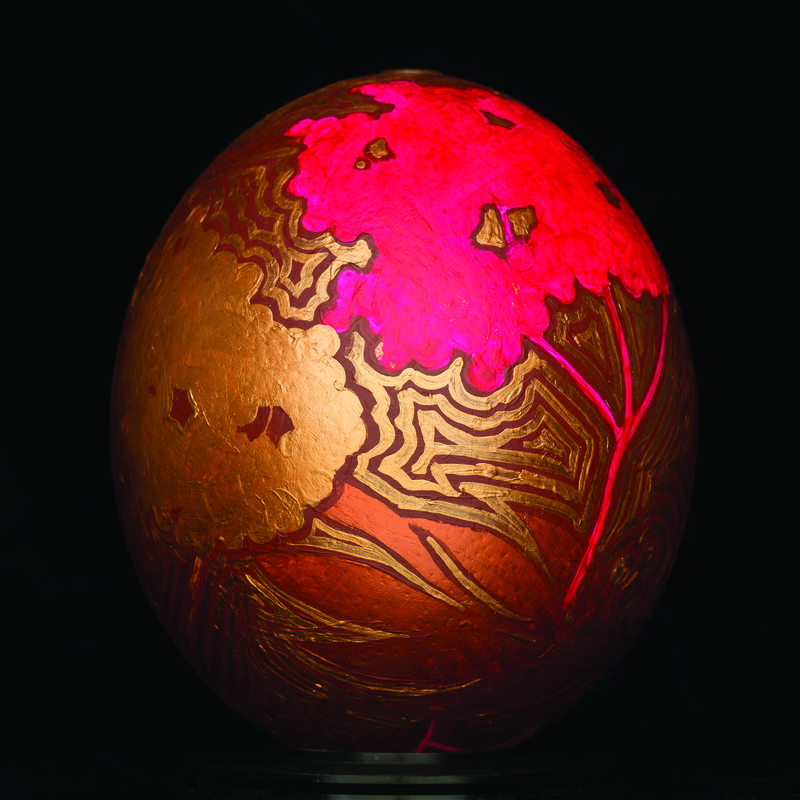 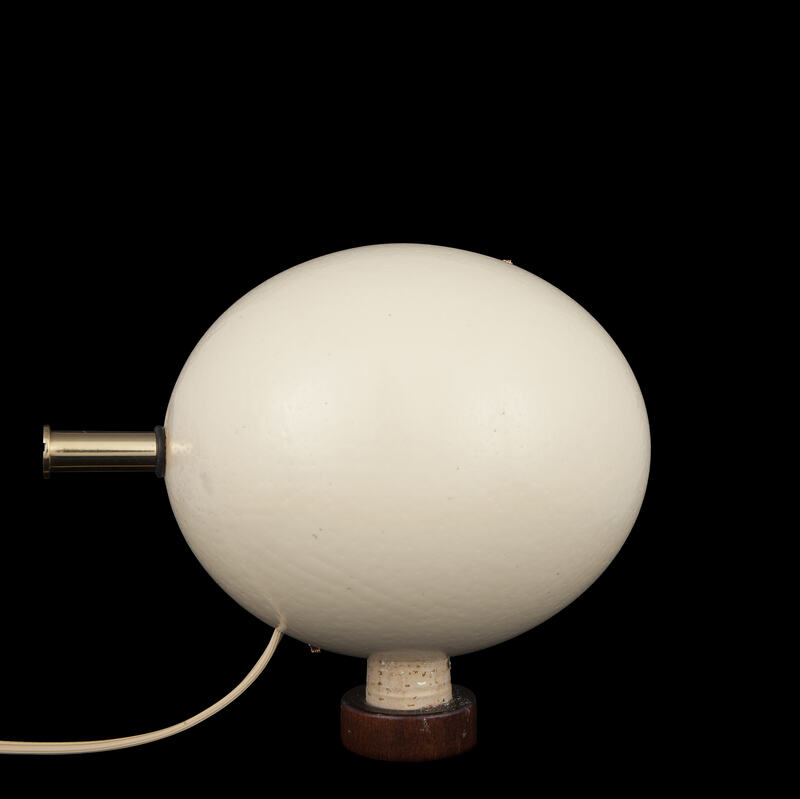 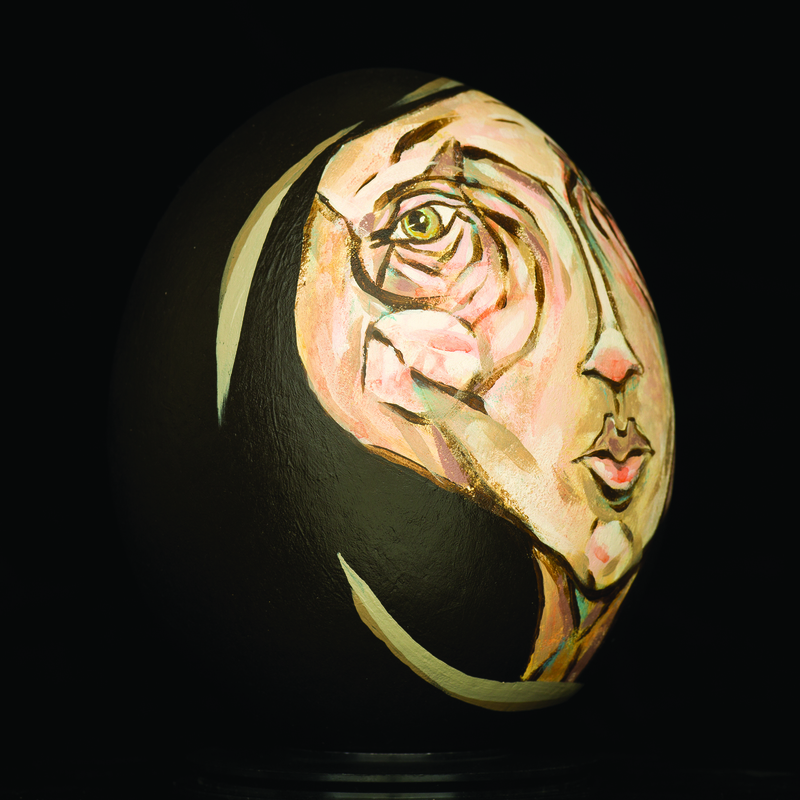 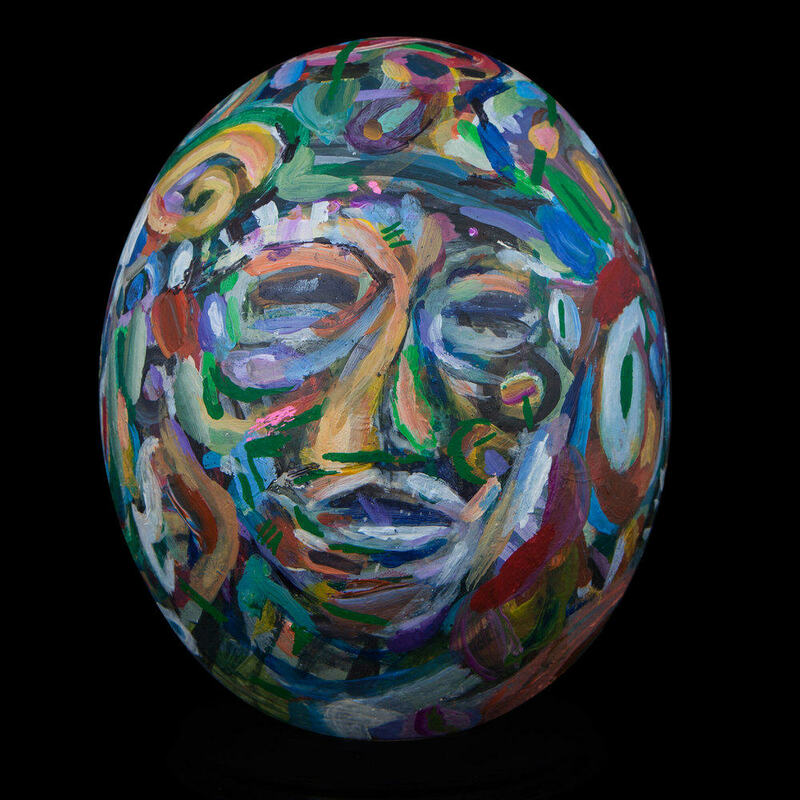 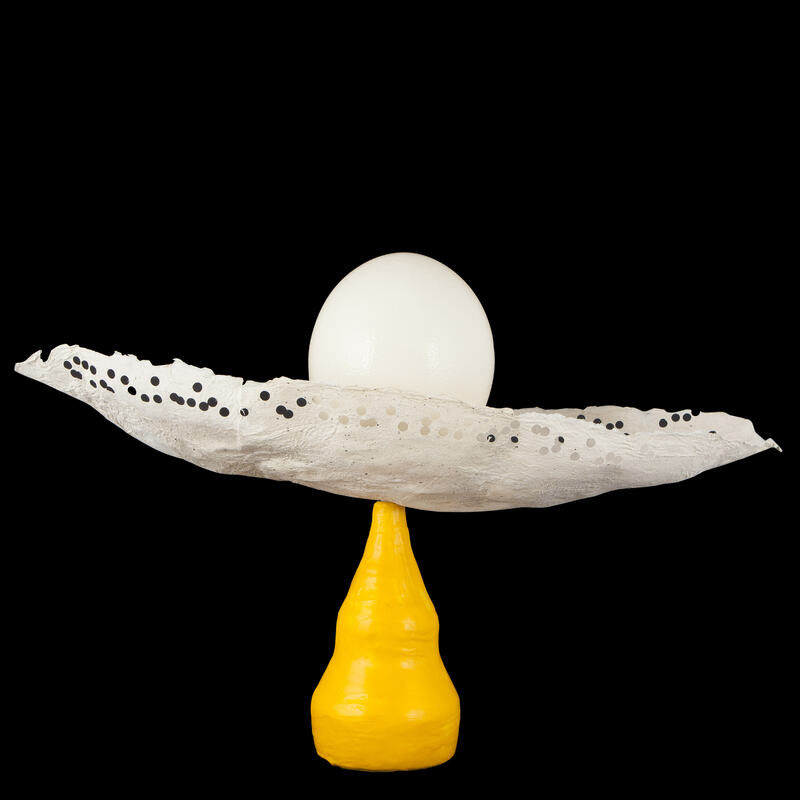 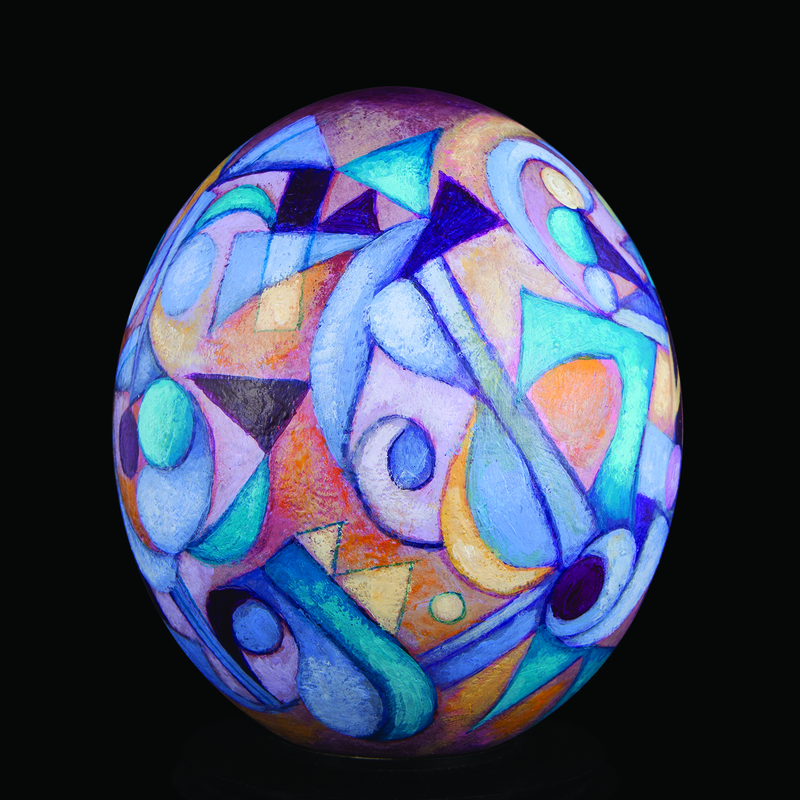 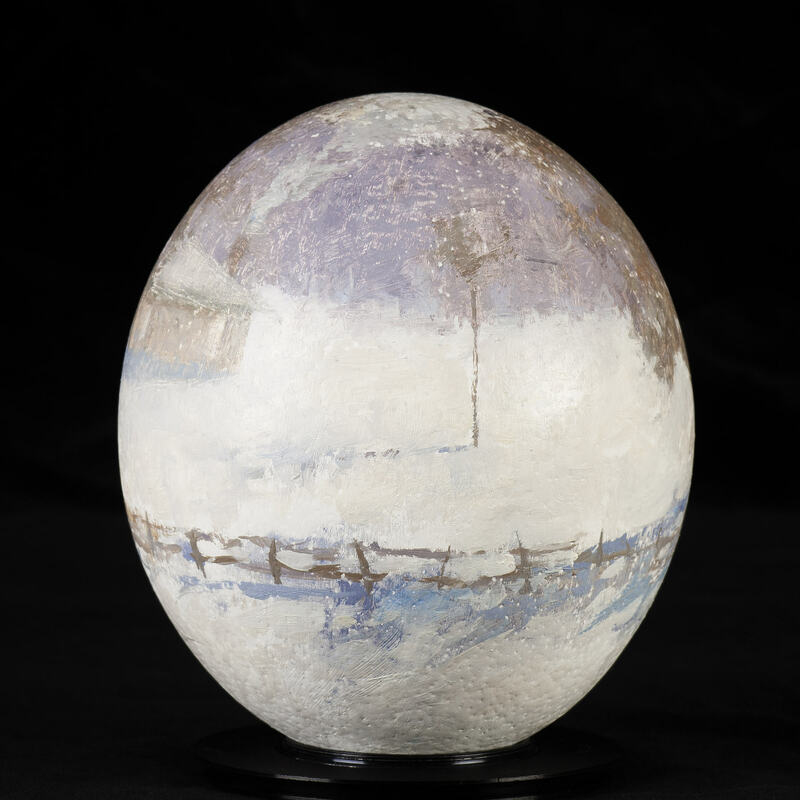 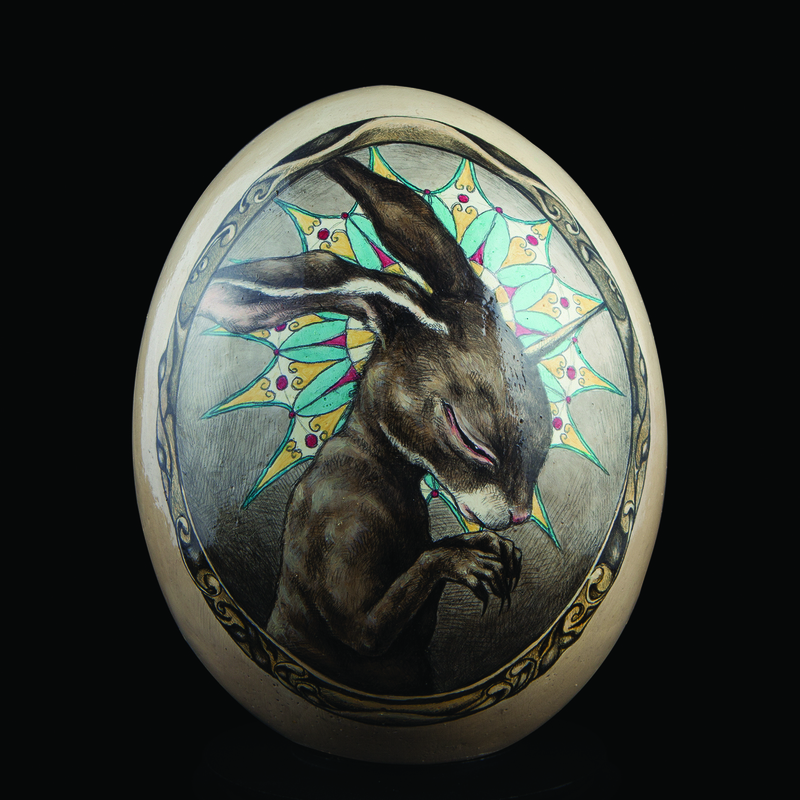 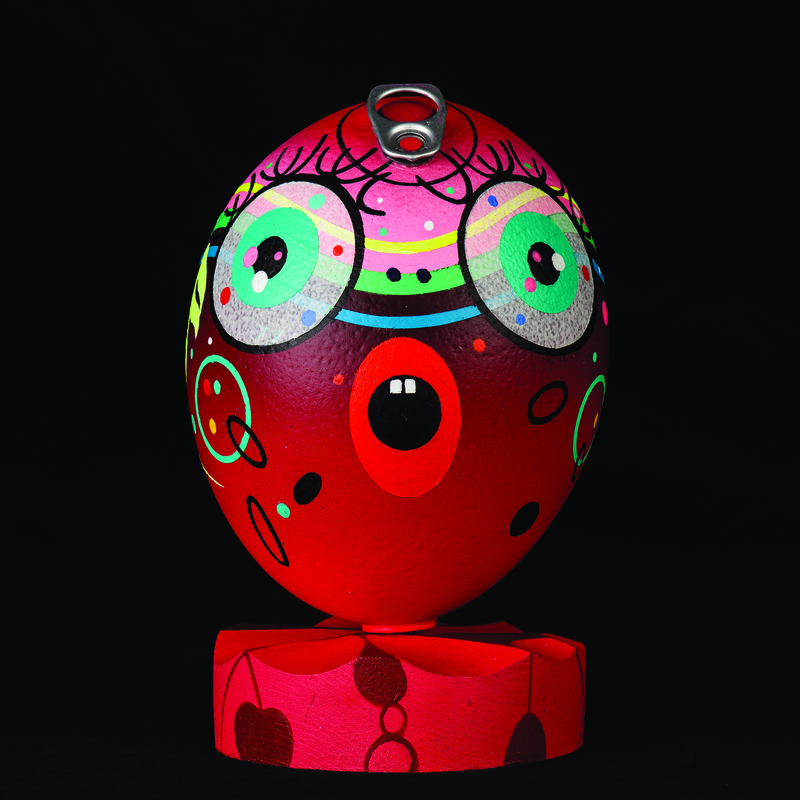 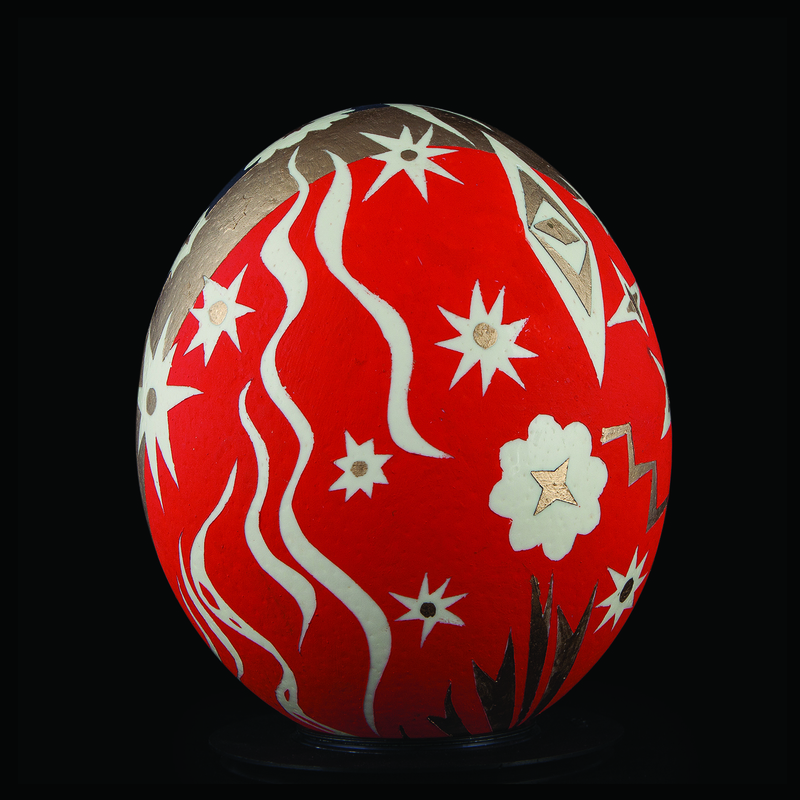 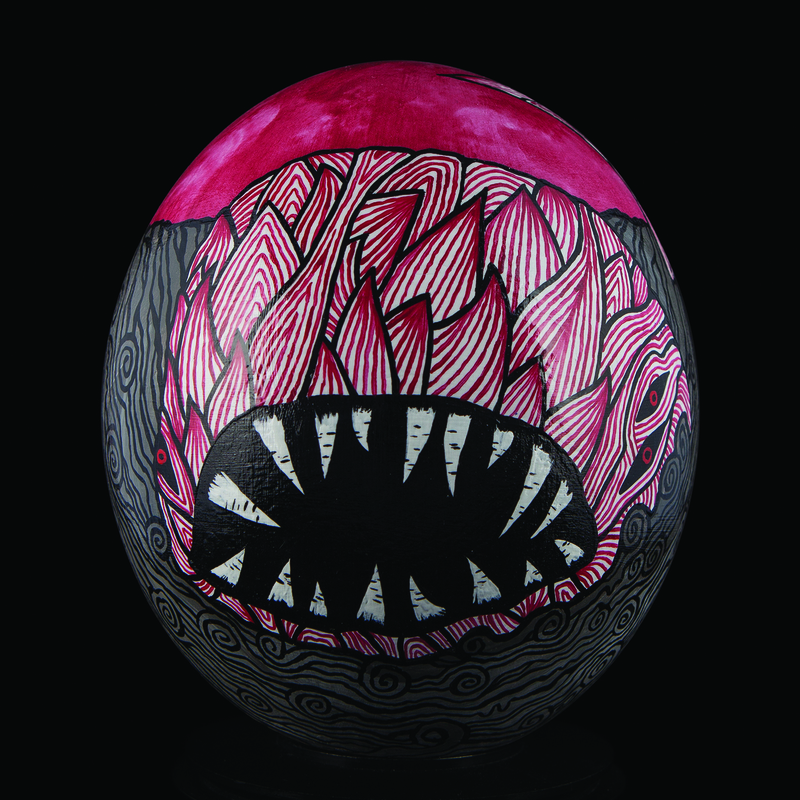 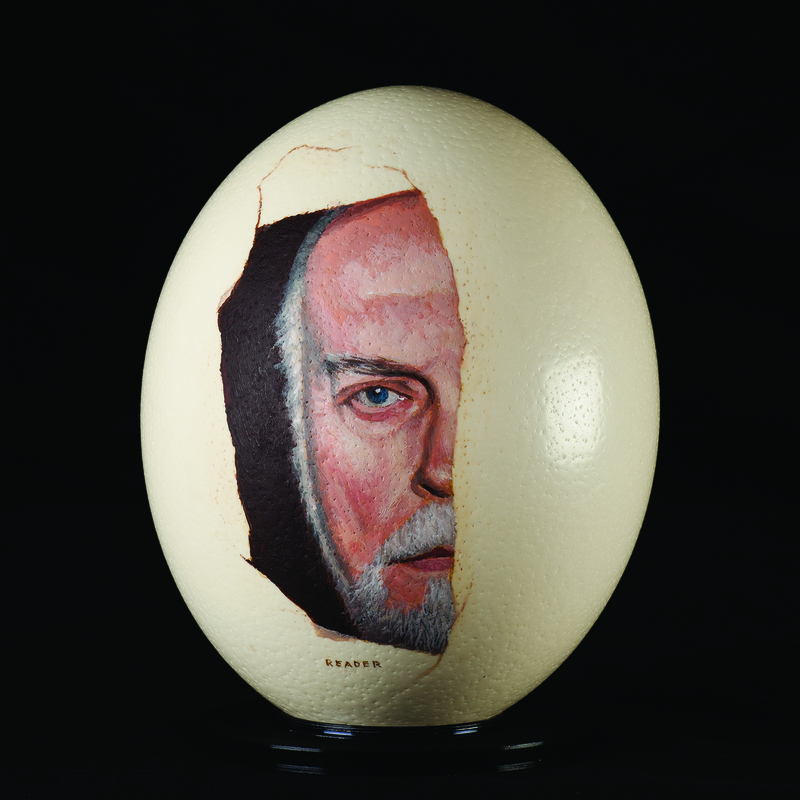 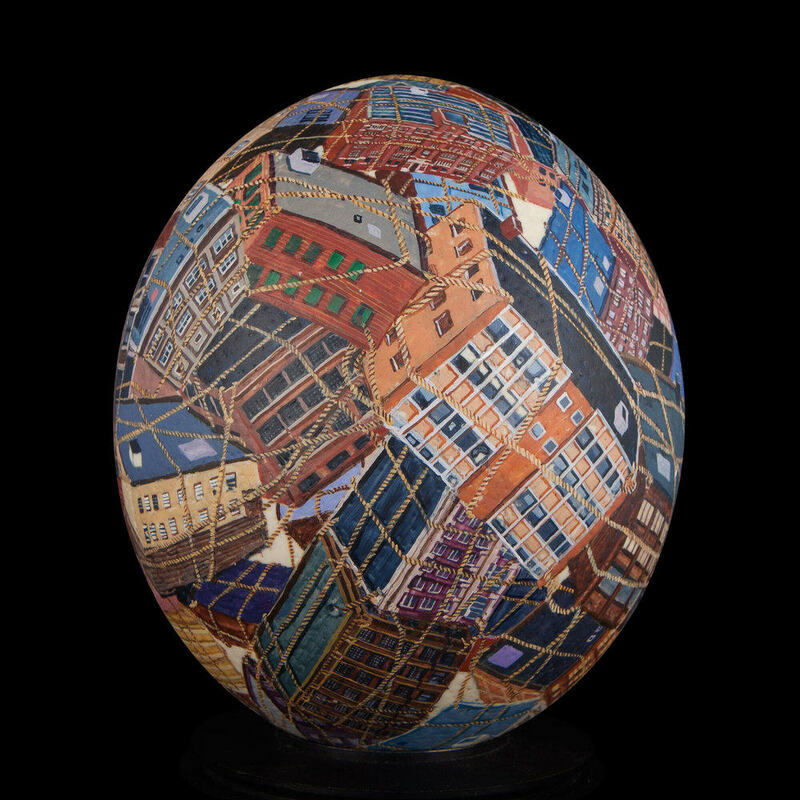 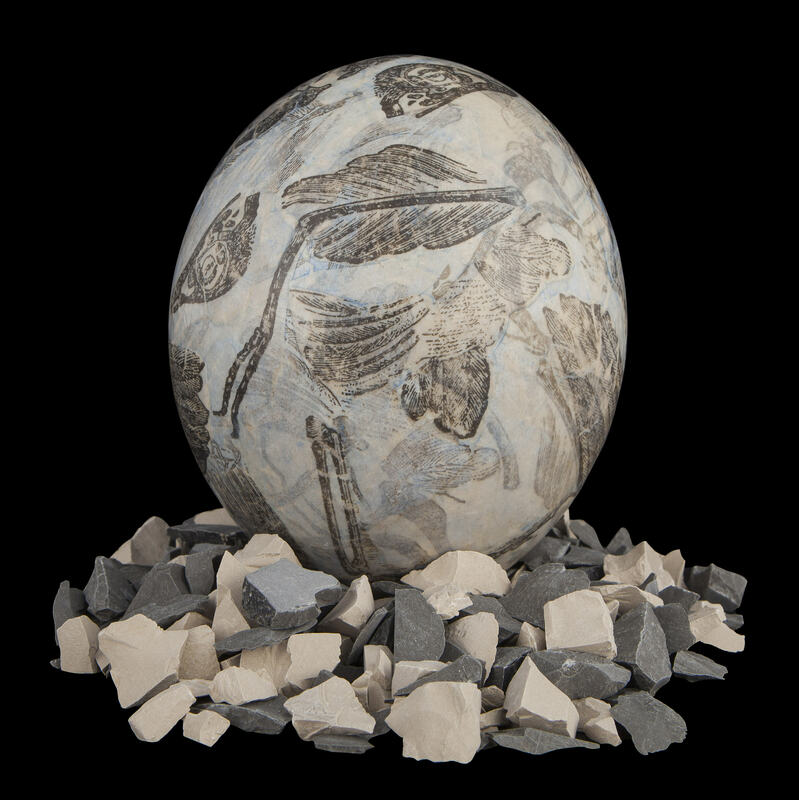 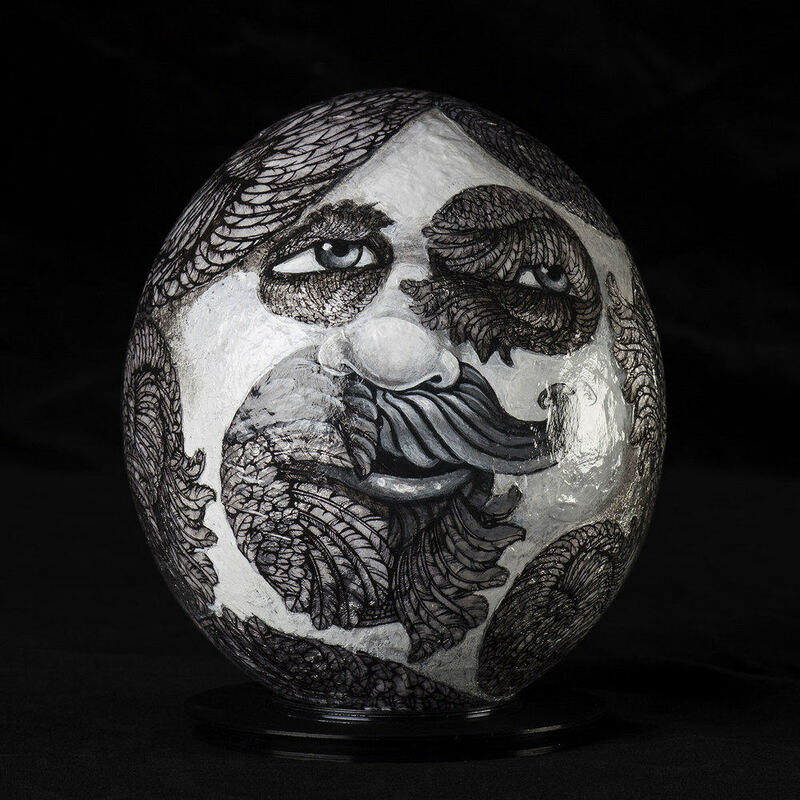 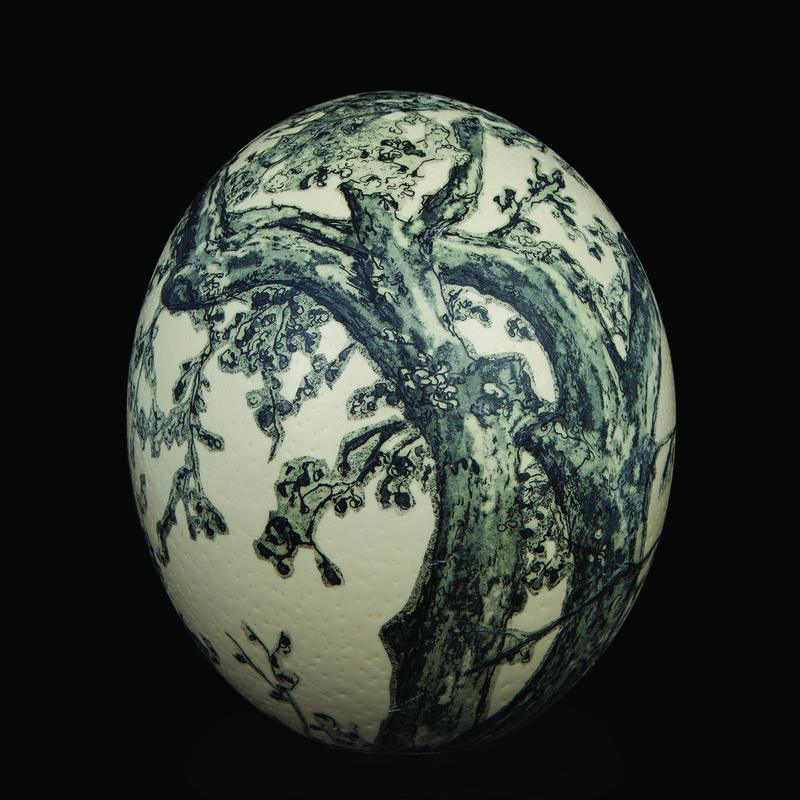 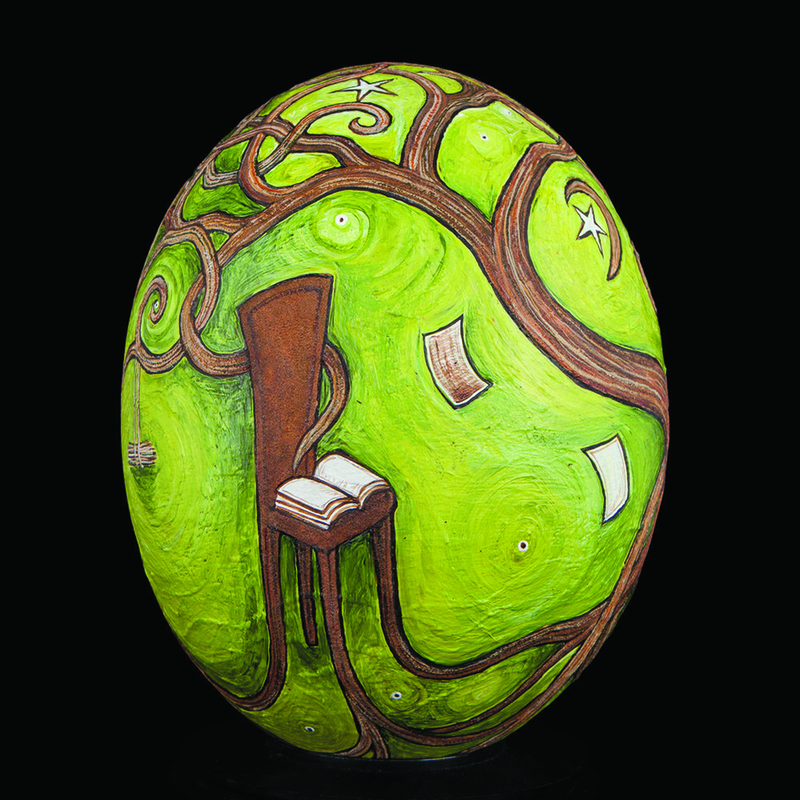 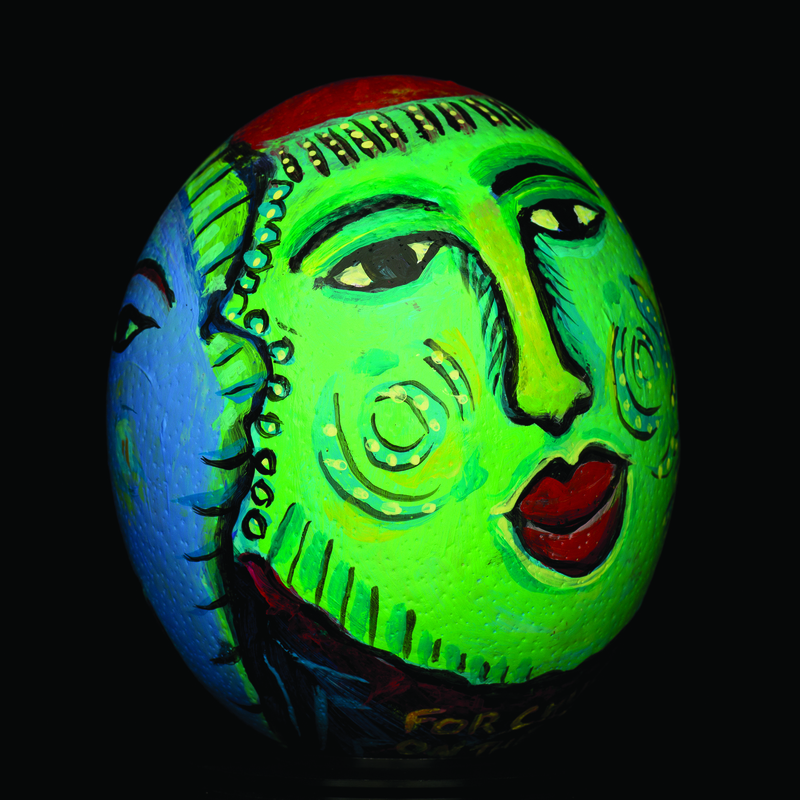 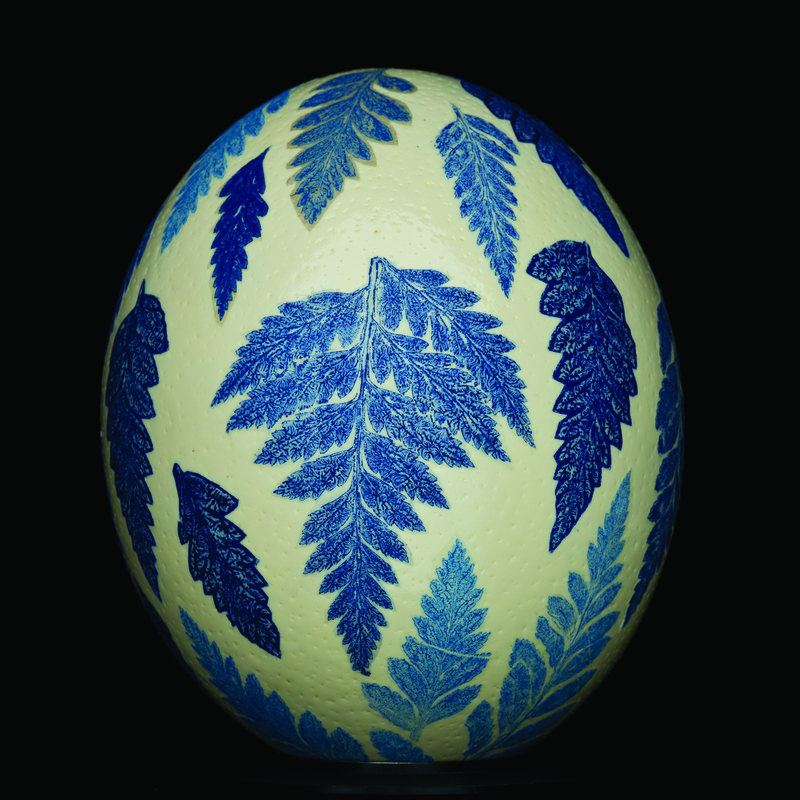 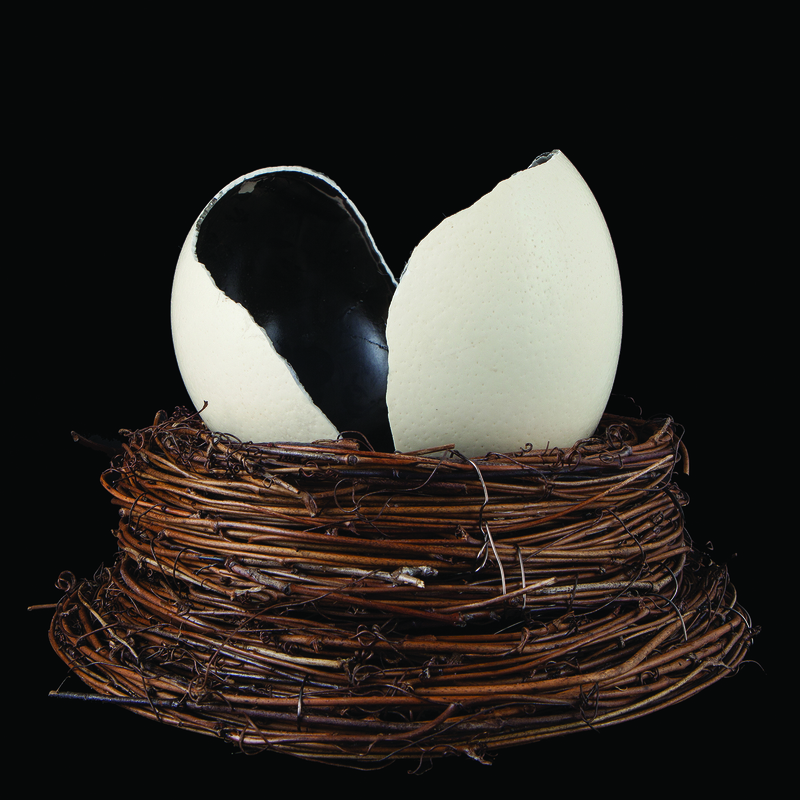 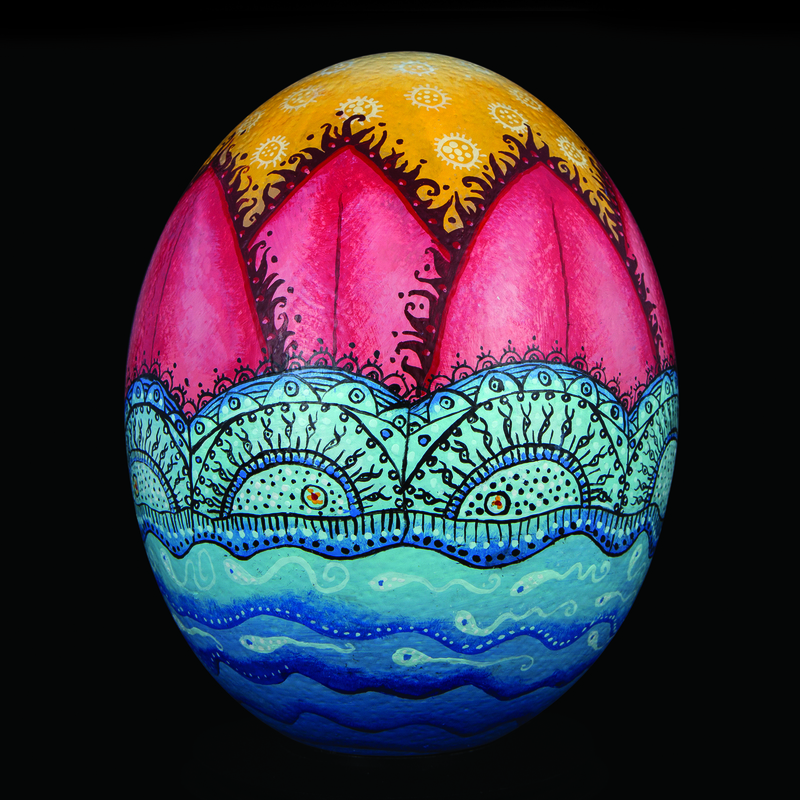 Moved by the elegant beauty of the ostrich egg, Bluestone provided the eggs as a “canvas” to artists. 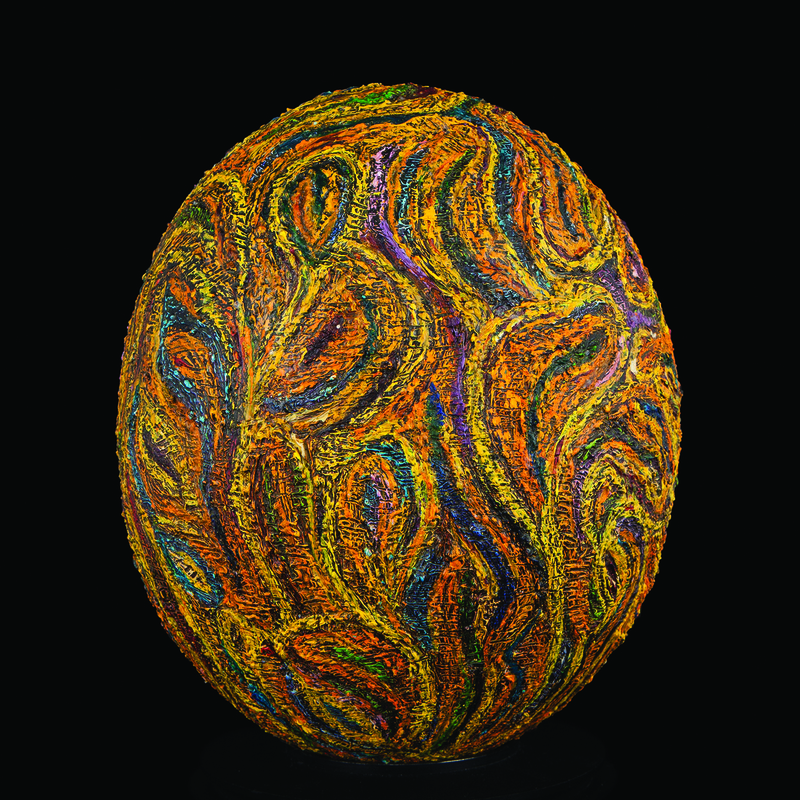 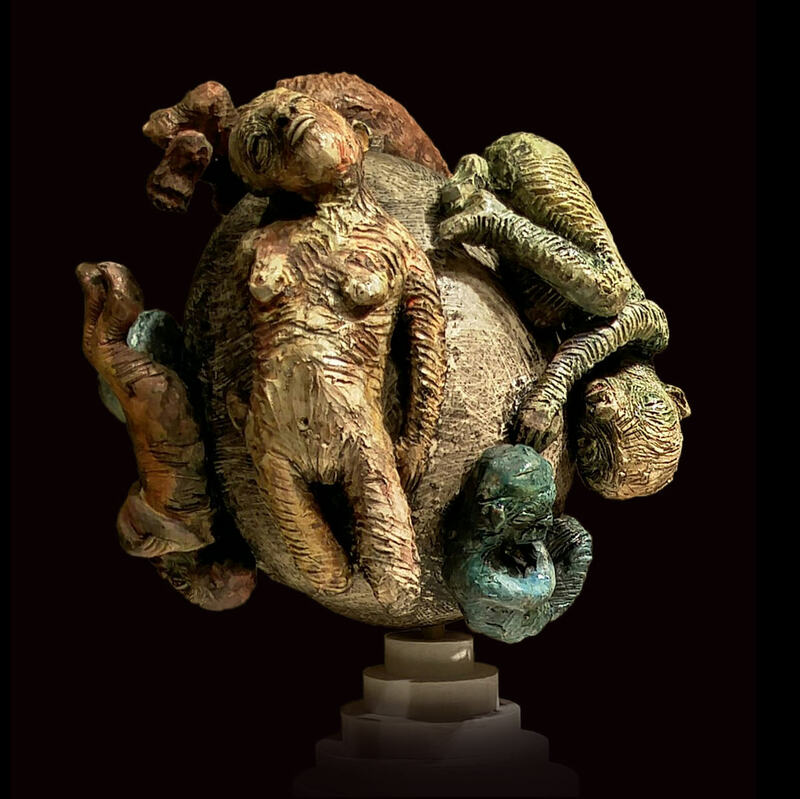 Each artist, working in their own media, brought their own vision to the surface and form. 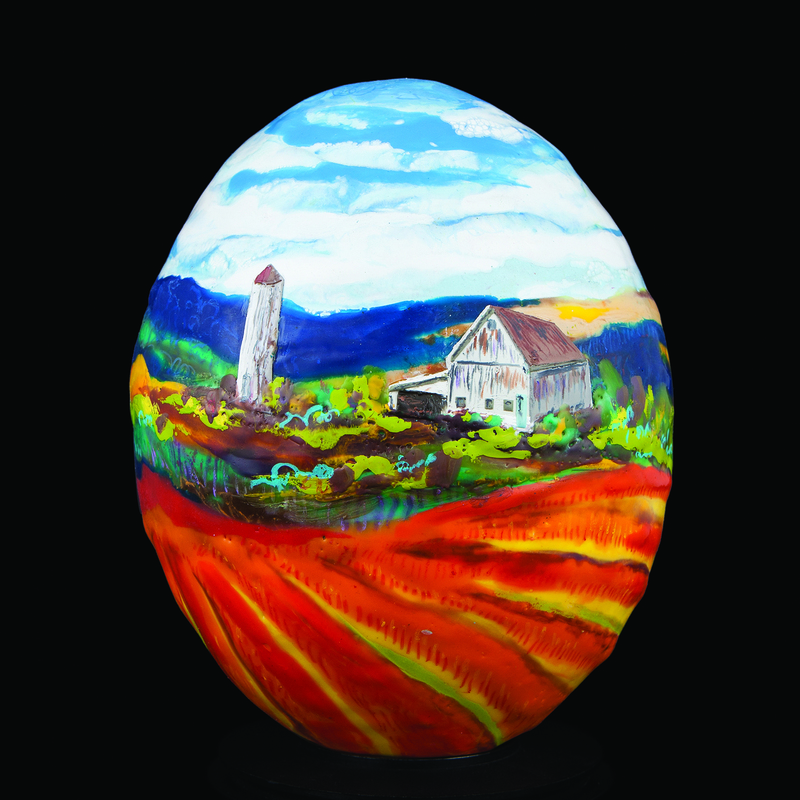 When seen as a collection, the breadth and depth of the talent of these Ohio artists is revealed.